A unique collection of 126 bioactive anti-virus compounds for high throughput screening (HTS) and high content screening (HCS). • Nat Med . 2014 Aug;20(8):927-35. • Nat Methods . 2018 Jul;15(7):519-522. • Nat Immunol . 2017 Dec;18(12):1299-1309. • Gastroenterology . 2015 Feb;148(2):392-402.e13. • Nat Microbiol . 2019 Apr 15. • Hepatology . 2019 May;69(5):1861-1872. • ACS Nano . 2014 Jun 24;8(6):5468-77. • Nat Commun . 2014 Oct 30;5:5352. • Nucleic Acids Res . 2019 Apr 18. pii: gkz278. • Nucleic Acids Res . 2018 Jan 25;46(2):956-971. • Nucleic Acids Res . 2017 May 5;45(8):4743-4755. 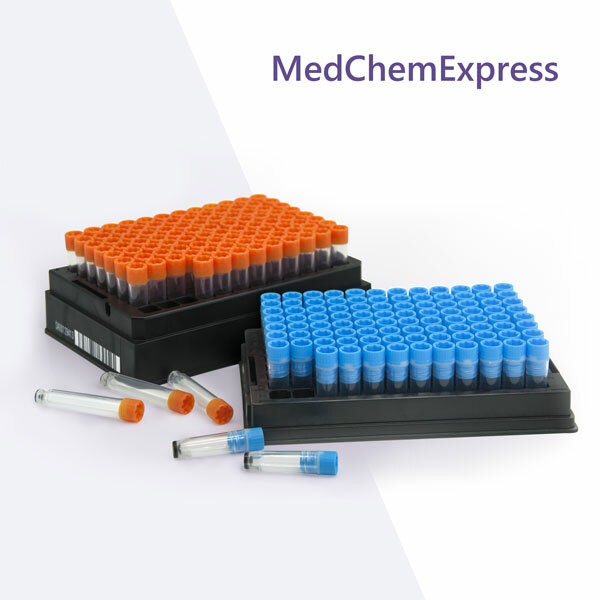 • A unique collection of 126 bioactive anti-virus compounds for high throughput screening (HTS) and high content screening (HCS). • Targets include HBV, HCV, HIV, HSV, Influenza Virus, Reverse Transcriptase, etc. • A useful tool for the discovery of anti-virus drugs. • Bioactivity and safety confirmed by preclinical research and clinical trials. Some have been approved by FDA. • Detailed compound information with structure, IC50, and brief introduction. • Validated NMR and HPLC to ensure high purity and quality.